It’s time for sheer plucky fun and exciting activities with the March School Holidays just around the corner! Get ready to go on a mini-adventure and meet the stars of two popular Nickelodeon shows as the Curve brings Dora the Explorer and Paw Patrol to town! 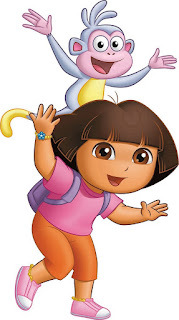 Don’t miss out on the chance to hang out with Dora and her best friend Boots from Dora the Explorer! 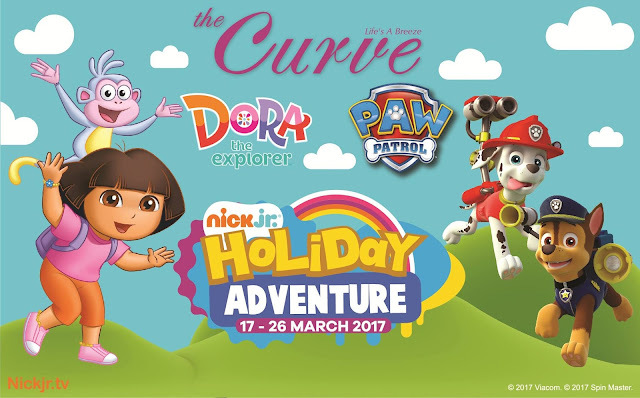 Taking place from March 17 to 26, 2017, kids are bound to have the time of their lives at the Curve’s Dora and Paw Patrol Holiday Adventure in the mall’s Centre Court with the four games that await. Fun but with an educational twist, kids can learn all about road safety with the Road Safety Puzzle, hone their navigational skills with Skye’s String Maze, help Dora identify Malaysia’s famous buildings in her Adventure to Malaysia, and match each state’s flag correctly with Know Your States. 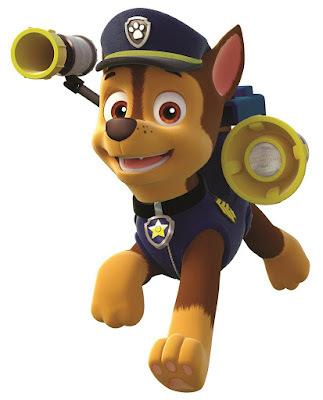 Chase the awesome police pup from Paw Patrol is ready for action at the Curve. What’s more, characters from both shows will be making live appearances to meet their fans! Don’t miss out on the chance to hang out with Dora herself along with her best friend Boots from Dora the Explorer, as well as Chase the police pup and Marshall the firedog from Paw Patrol. The Meet & Greet sessions will be held once every Friday and three times a day on Saturdays and Sundays throughout the campaign. 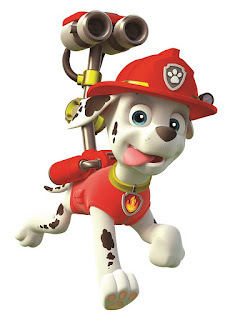 Come say "Hi" to Nickelodeon's favourite firedog, Marshall from Paw Patrol. 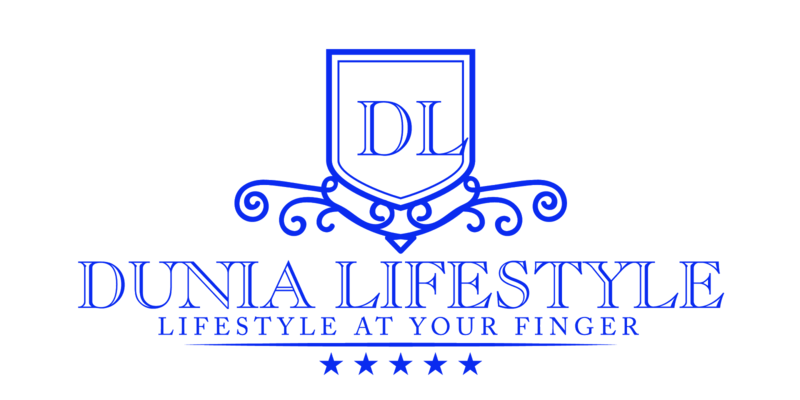 Stand a chance to walk away with a Kid’s Dora Dining Set. To round off a truly memorable holiday, kids will have the chance to take home special merchandises! Shoppers simply need to spend a minimum of RM200 in a maximum of two receipts at any outlet in the Curve in order to redeem either a Kid’s Dora Dining Set or a Paw Patrol Stationery Set. Redemptions are subject to terms and conditions, and while stocks last. 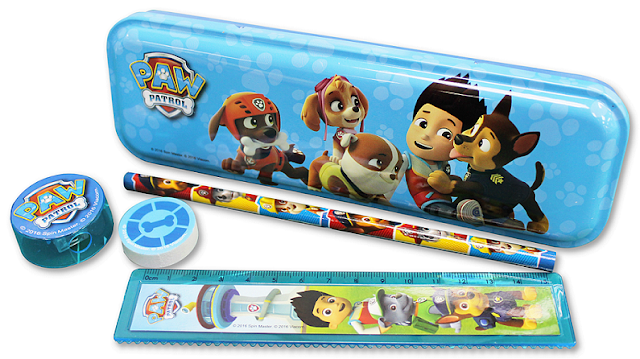 Paw Patrol Stationery Sets are available for redemption throughout the campaign. Want to know more about the activities taking place at the Curve throughout the March School Holidays? Please contact the Curve’s Customer Care officers at 03-7710 6868 or visit the Curve’s websites at www.thecurve.com.my and www.facebook.com/theCurveShoppingMall.